The Ratcliffe Environmental Entrepreneurs Fellowship (REEF) program at IMET is an ongoing effort to teach graduate students about entrepreneurship and encourage them to think about the broader applications of their own research in order to turn it into patentable technology. This program is made possible by the generosity of the Ratcliffe Foundation. REEF is like the National Guard of business development for graduate students; they meet one weekend each month for a rigorous training regimen that includes topics such as intellectual property law and practicing a business pitch. At the end of the year, students are encouraged to apply for a fellowship, which provides them with funding, training, and access to a business-oriented internship. I had the privilege to speak with Ryan McDonald, one of my fellow students who is now starting his own business called MicroArt. Below is my conversation with him about how he came to IMET and how REEF has affected the way he looks at his research. Spoiler alert: basic research can be far more applicable when you get a little creative. SM: How did you get into microbiology and what brought you to IMET? RM: Most of my undergraduate training was in cell biology and I did not actually start working with microorganisms until I reached grad school. Originally my project was to examine PCB (polychlorinated biphenyls)-degrading microorganisms under the Antarctic ice sheet but we received funding to examine the microbiome of a wood-eating catfish shortly after I arrived in the lab. My master’s advisor, Joy Watts, was a former employee at IMET and I had IMET faculty members on my committee. When I switched to a PhD program at UMBC I joined the lab of Hal Schreier who has labs in IMET. SM: Tell me about your Ph.D. research. RM: My dissertation aims to characterize the bacteria that live inside the GI tract of wood-eating Amazonian catfish. Very few animals (especially vertebrates) have evolved to consume wood. Most that do consume wood rely heavily on the metabolic activities of the bacteria in their gut to survive. From a basic research perspective, this project is interesting because it allows an insight into how the break-down of wood occurs in a novel system. This may serve to identify novel microbial communities/metabolic pathways that are used for wood degradation. This research may be useful to the fields of renewable energy and biofuels. There is currently demand to identify novel organisms and enzymes that be used in applications for next generation biofuels (conversion of wood waste to ethanol). SM: Did REEF change the way you think about your research? How? RM: REEF has made me much more aware of the applied aspects of my research. While basic research is important, it is always good to consider how your work can be applied (i.e. a patentable technology or in policy decisions). SM: What was the most valuable lesson you learned from time in the classroom with REEF? RM: The most valuable lesson learned during the REEF program was how to present and communicate my research. There are a lot of people in the world with diverse backgrounds and expertise. Knowing who you are communicating with and how to tailor your message to convey it effectively is a good skill for scientists. 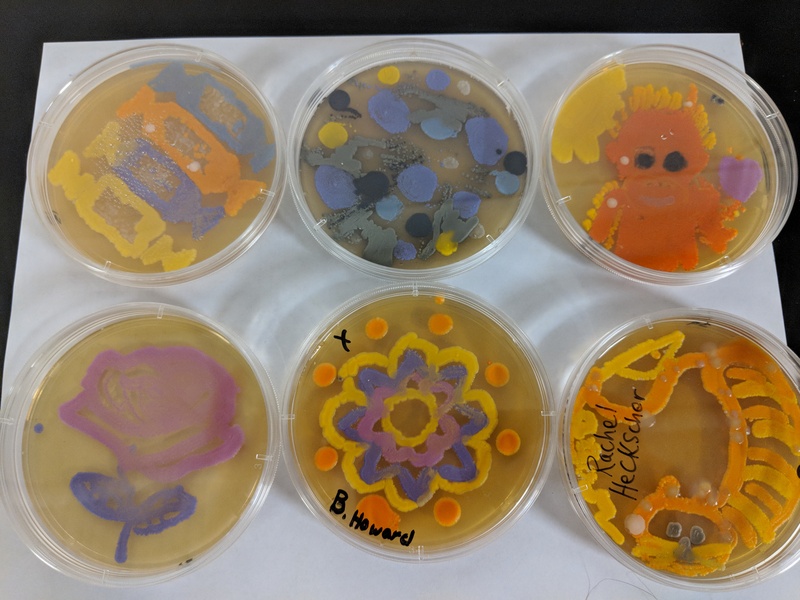 RM: MicroArt is a microbial art kit that allows individuals to draw and create works of art using live, brightly colored microorganisms. The goal is to convey STEAM (science, technology, engineering, arts, and mathematics) principles in a manner that is very engaging. SM: What was the most valuable lesson you learned from starting a business? RM: I learned you can’t do everything on your own. As scientists we tend to want to be in control of every aspect of our research. There is no way to do this when starting a business. There are too many areas of expertise that you need to have. You quickly learn that you need to be comfortable asking for assistance and advice.